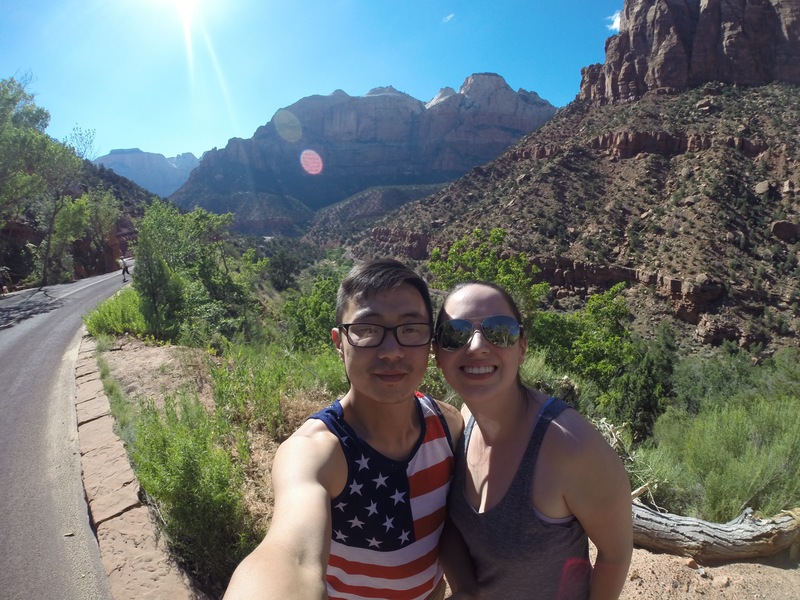 Day four of our cross country road trip began with brief stop at the Hoover Dam located right on the border of AZ and NV and then, we headed to Zion National Park ! This was only about a 3 hour drive from the Dam located in southwest Utah. The drive to Utah was SO incredibly beautiful. 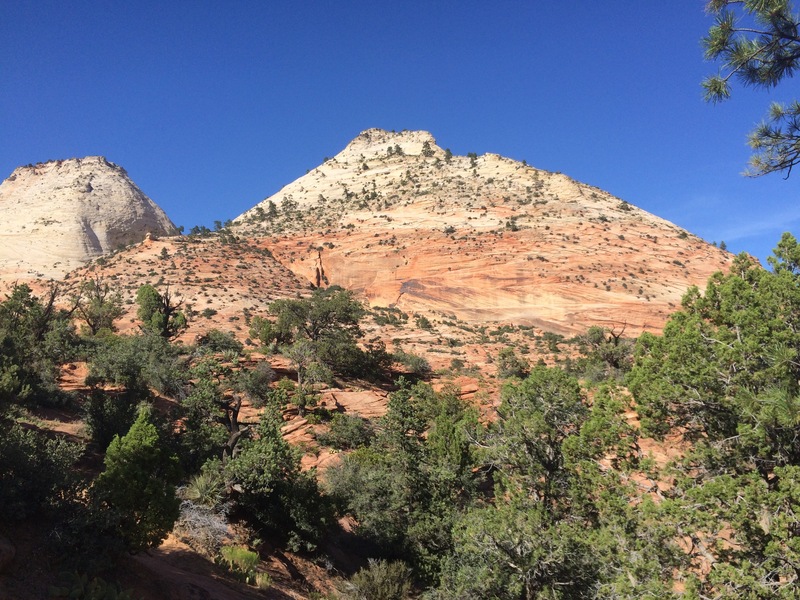 The roads first became twisty and were closely surrounded by flat, sand-colored rock, then transitioned into grey rock and later, into huge rustic red rock formations/peaks! This is one of many things I really appreciate about road trip traveling vs air travel. 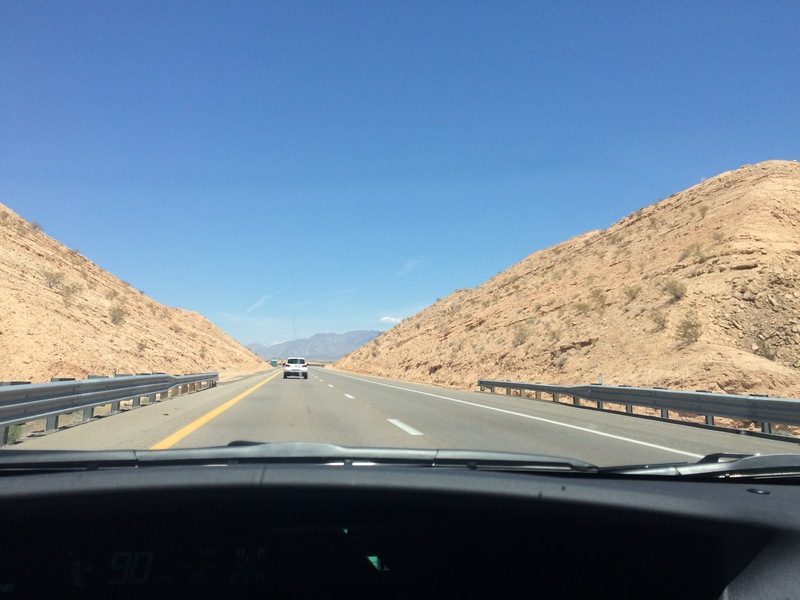 You get to see your surroundings change dramatically, especially if you’re driving long distances or state to state. It’s such an amazing experience that I can’t even fully describe in words. You’ll just have to try it out yourself. 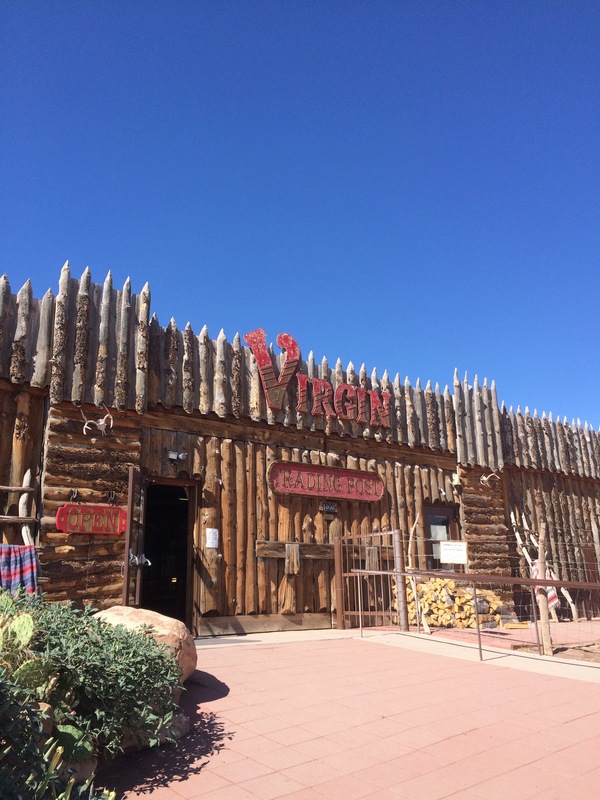 We made our first pit stop in Virgin, UT. We found this cool trading post that was filled to the brim with souvenirs. Of course, I collected my usual pressed penny! A half an hour later, before approaching Zion’s park entrance, we were greeted by Springdale, UT. This was a cute, tiny town with less than 1,000 residents, nestled just outside of Zion. They call this little town… the Gateway to Zion. The town is full of shops, eateries, and places to stay. 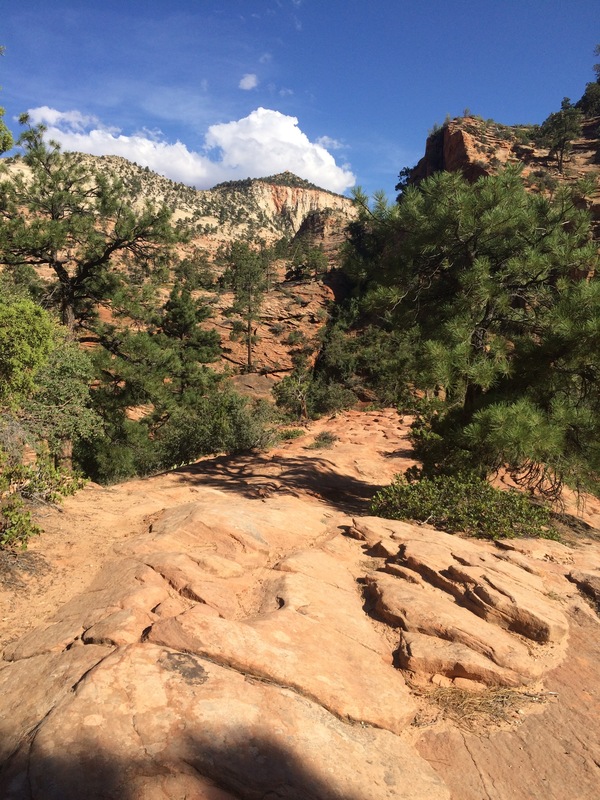 It’s perfect for campers and hikers readying for their adventures in Zion National Park. I want to stay here next time OR in the park itself !!!! We rolled up to the park entrance where we had to pay a park fee of $30. I don’t think I have ever paid that much to enter a national park before, but whatever! It’s ZION! I later found out that 80 percent of this fee goes towards park maintenance, safety, and other park related expenses! So that’s pretty cool. ANYWAY.. We then had the option to find a place to park the car which would then allow us to wait for the shuttle or follow the signs for the scenic highway that cuts through the east side of the park. 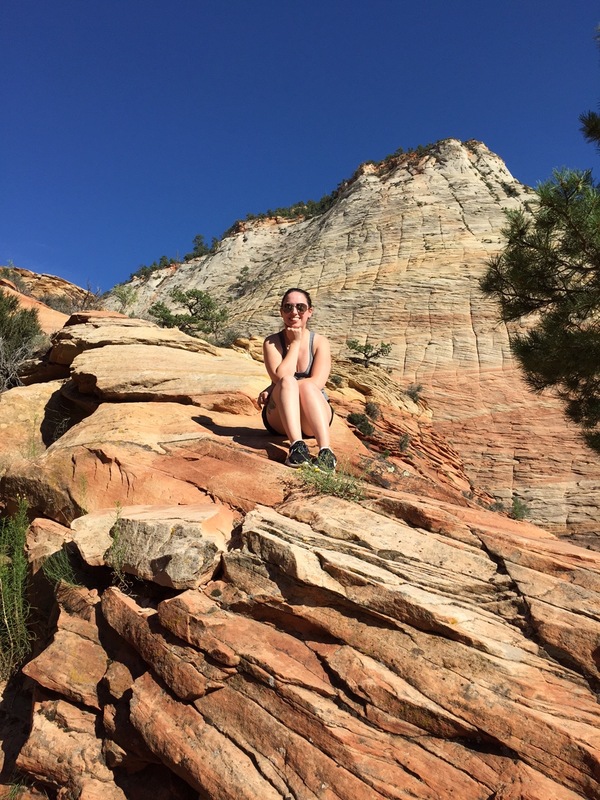 The shuttle is the easiest way to get to all the hiking trails, beautiful views and other cool points of interest the Zion canyon has to offer. 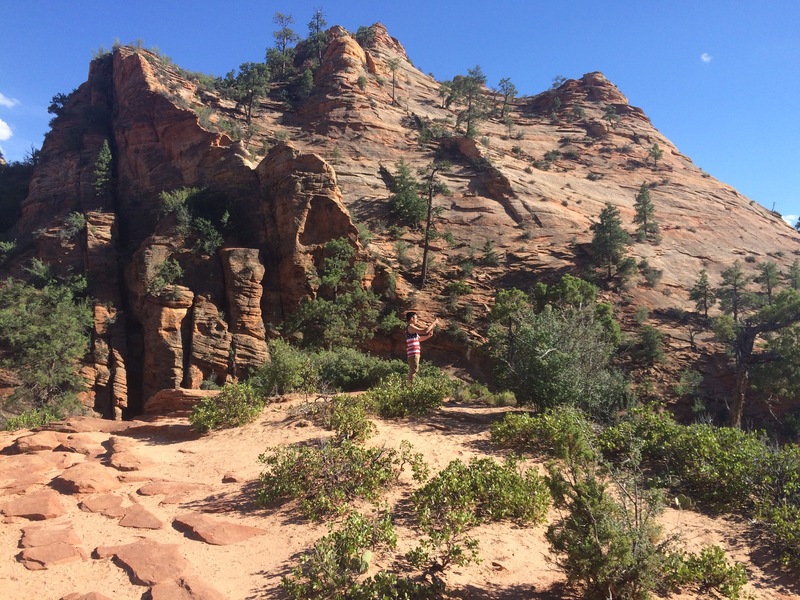 Although it’s only a small portion of Zion National Park, it houses some of the most scenic stops. BUT, you can only get to these places via shuttle. (Private cars are not permitted on this speciality road, apparently due to the high volume of visitors Zion receives per year.) It’s about a 80 minutes total round trip, plus how ever much time you take at each stop and waiting for the shuttle. We ideally had all the intentions to do this, but simply did not have enough time. 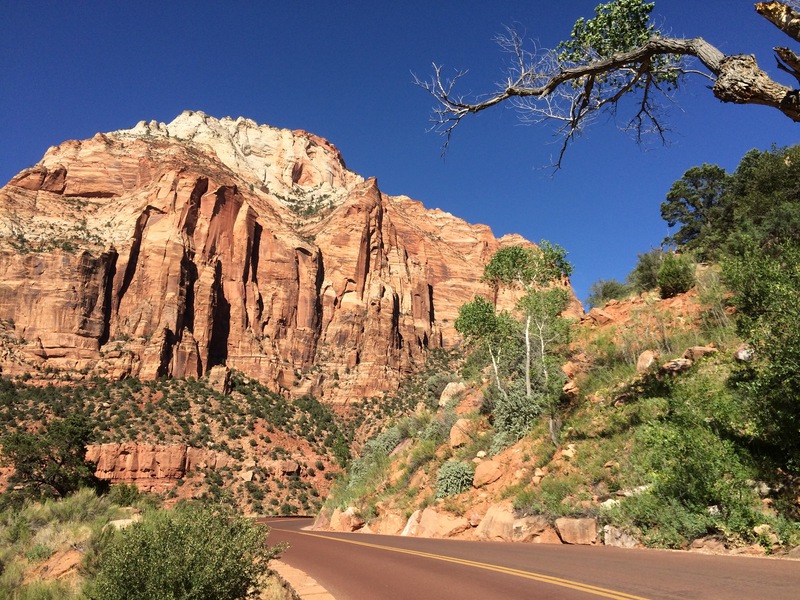 The next best option for us to get a taste of Zion was to take the scenic highway called Mt. Carmel Highway that cars were actually permitted to take. I literally was looking this up as we were on our way to the park, so I wasn’t really sure what to expect. Come to find out upon arrival, Mt. Carmel Highway it’s actually a 12 mile road that connects both the south and east exits. 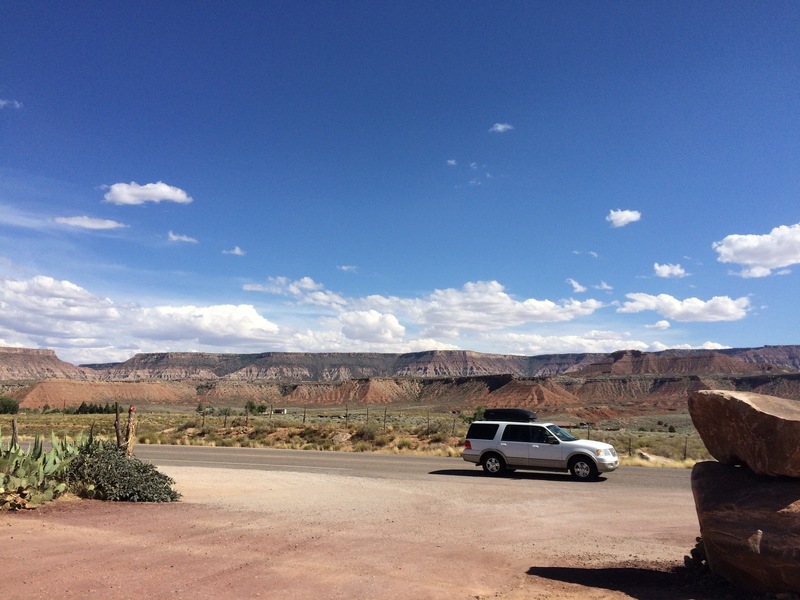 The purpose of this road was to create direct access from Bryce Canyon and the Grand Canyon. It was also built and completed in the 1920s! 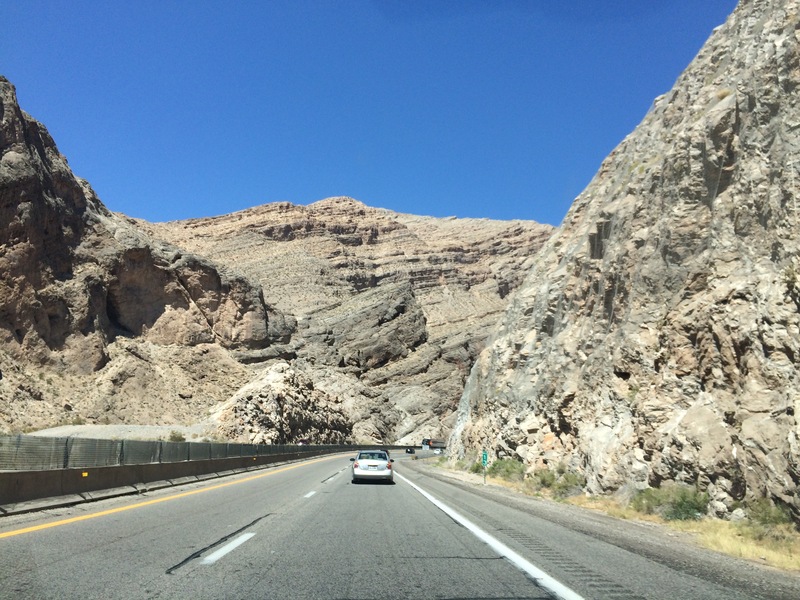 This route was PERFECT for us because we were heading east to Colorado after leaving Zion anyway! Taking this option really set us up for success with time. (We had about a 5 hour drive ahead of us to Colorado). The Mt. Carmel Highway was a beautiful rusty colored road with a 1-mile long tunnel, multiple pull offs and many opportunities to see Zion’s gorgeous tall peaks and canyons. Even some wildlife too! Zion is a place where you will absorb your surroundings, fully.. with your eyes, ears, skin.. and I’m about to get real deep.. your soul too. Then after you leave, you cant even comprehend what you just saw because just being there is THAT breathtaking/mind-blowing! Pictures do absolutely no justice at all for this park. If you ever visit there, you’ll know exactly what I mean. I SWEAR I found so much happiness and peace at Zion. I know we only saw a small portion of what this magical park had to offer, but with that said.. I can only imagine how I would’ve felt seeing the rest of the park. I didn’t want to leave ! We will be back for sure ! Time to head to Colorado ! Specifically Mesa Verde National Park ! 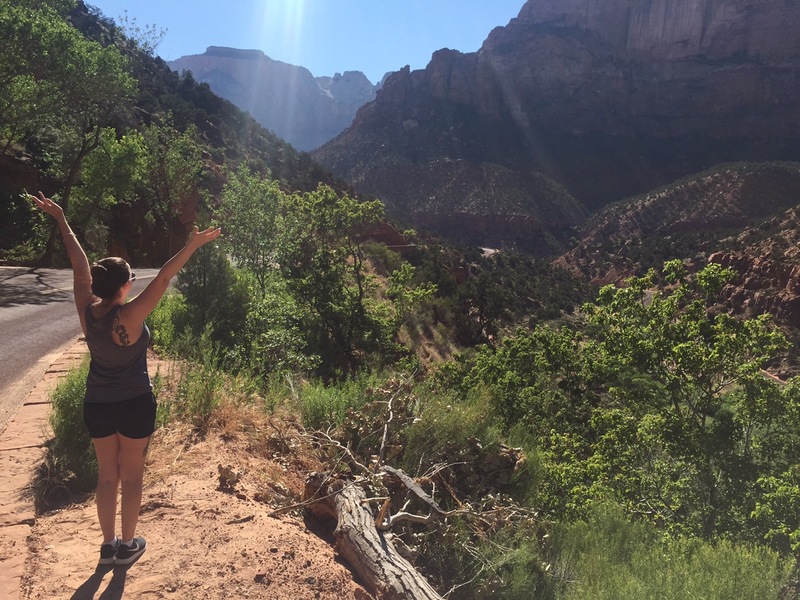 Zion is a Hebrew word that means peace and relaxation. 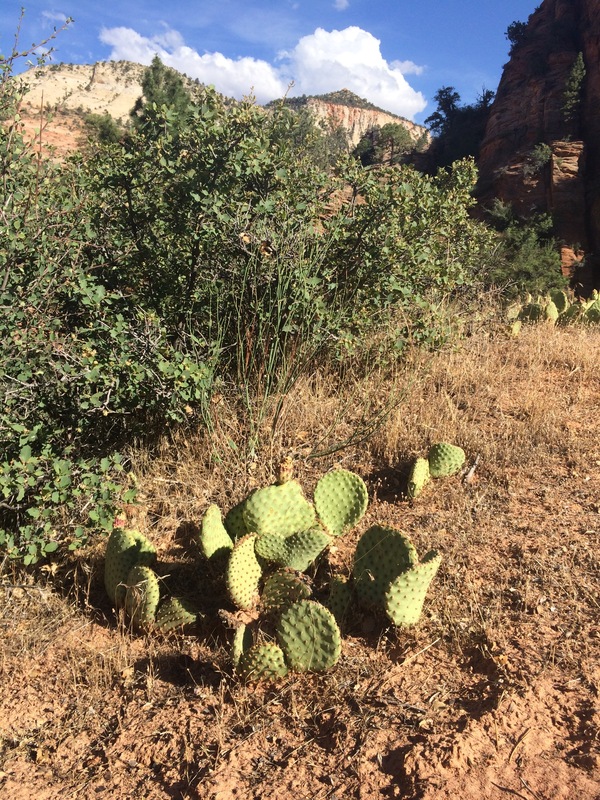 This name was given to the canyon by Mormon pioneers in the 1860s.